Art should be a lifelong pursuit for most people — even if it isn’t likely to become a livelihood. 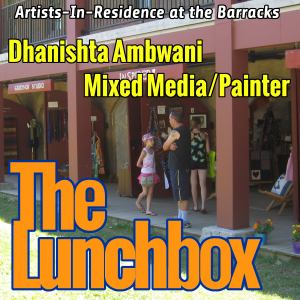 My guest today is Dhanishta Ambwani, a young artist working in mixed media at the casemates this week. She joins me to talk about what drives her to create art at a young age, how the theme of “Water” is manifesting in her work this week, and what art means to people of her age.